Eighteen persons who were previously naturalised as British Overseas Territories citizens were today registered as British citizens. The new citizens accepted their certificates, and recited the Oath of Allegiance to Her Majesty the Queen and the Pledge of Loyalty to the United Kingdom, at a ceremony held at Government House. The Governor, His Excellency Mr. John S. Duncan, OBE, presided over the ceremony and congratulated the new citizens who are now eligible to apply for a British passport. Governor Duncan said that in addition to the benefits associated with British citizenship, there were also responsibilities. 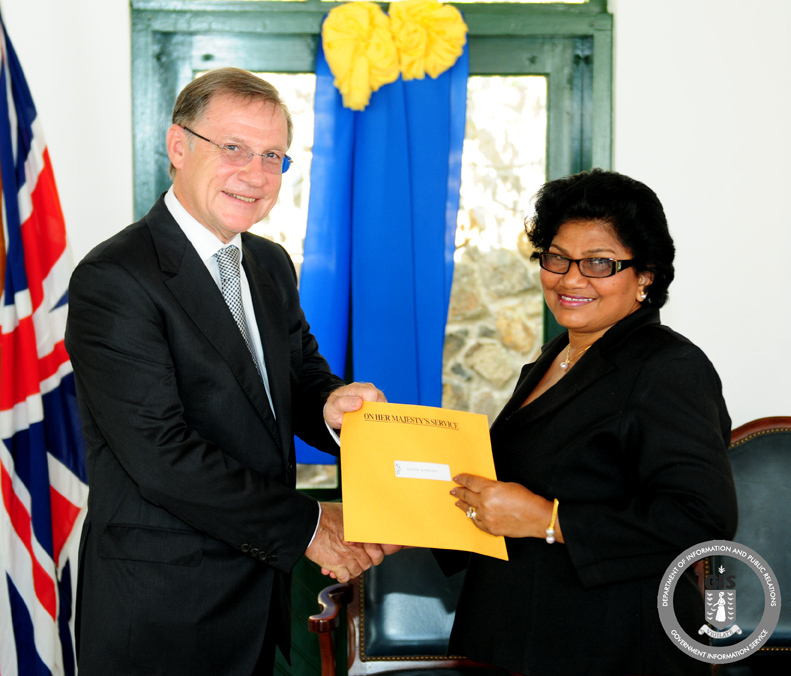 The Governor spoke of the Territory’s connection to the United Kingdom stating that as an Overseas Territory and part of the Realm of Her Majesty, the Virgin Islands has special links with Great Britain. The brief ceremony was chaired by the Deputy Registrar, Mrs. Tashi Maduro-O'Flaherty on behalf of the Registrar General. Mrs. Maduro-O'Flaherty encouraged recipients to treat their certificates with special care as they, among other documents will be needed to apply for a British Passport. British citizens have the right to live and work in the United Kingdom or any other European Union country. They may also travel to the United States under the visa-waiver programme for UK citizens. As a result of the British Overseas Territories Act of 2002, British citizenship was extended to all British Overseas Territories (BOT) citizens. Persons naturalised as BOT citizens following the enactment of the Act on May 21, 2002, do not automatically become British citizens but are eligible to register as British citizens.